The on-going project of Sander Wassink, State of Transience, is a responsive design process which is continuously shifting over time. 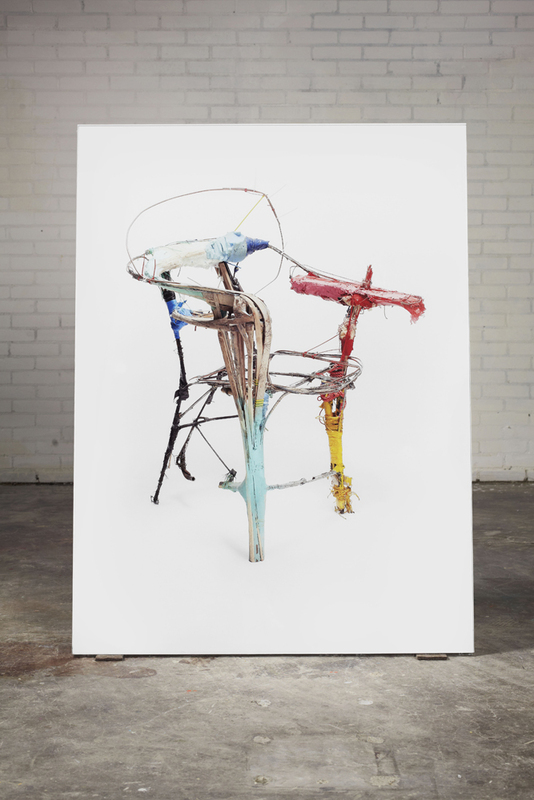 Using the relatively simple design archetype of a chair, Wassink repurposes materials, making additions, subtractions and mutations, to suggest the impossibility of a final or fixed form. Each new version of this chair, documented in incremental stages, shows evidence of it’s past constructions and glimpses into it’s future potential. Every new state is a testament to ingenuity of human production and the fragility of supposedly rigid constructions. In this way the project maintains a lineage of its arrangements, preserving both it’s past iterations and suggesting future possible developments simultaneously. The goal is not a finished product, but instead a material history of combinations and constructions. 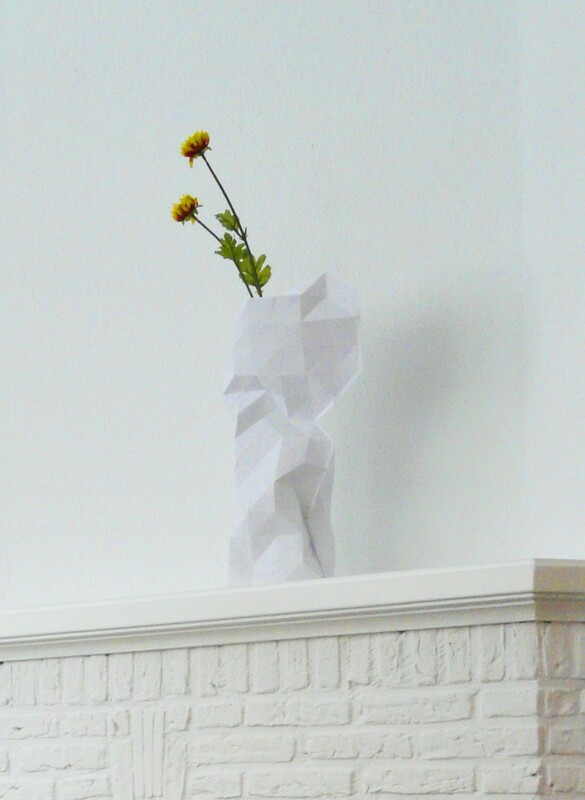 This paper vase of designer Pepe Heykoop was produced together with The Tiny Miracles Foundation: A Netherlands-based, charitable organization founded by his cousin Laurien Meuter that focuses, in partnership with Hamara Foundation, on one community in Mumbai, India: the Pardeshi’s. Their goal is to create a self sustaining income for these poor people. This vase is part of the tiny Miracles collection- a paper vase that can be folded and put on for example a winebottle- very beautiful and practical too. 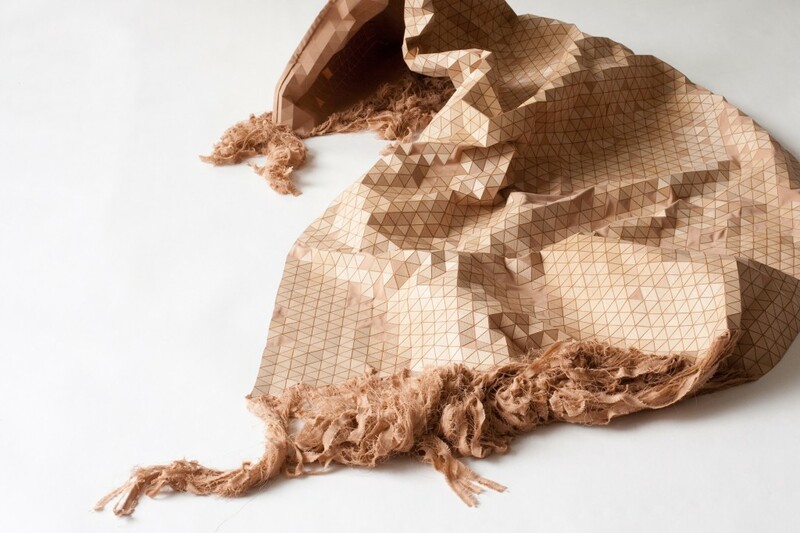 “Wooden Textiles” of Elisa Strozyk is a material that is half wood-half textile, between hard and soft, challenging what can be expected from a material or category. It looks and smells familiar but feels strange, as it is able to move and form in unexpected ways. On the picture the plaid is shown of the ‘wooden textiles’ series. The store shows a lamp made by Daphna Isaacs Burggraaf & Laurens Manders together with illustrations of the lamp(s) made by graphic artist Rop van Mierlo. These lighting objects shine upon themselves as well as the objects placed in them. The lamps are open for your own interpretation. For example, a ‘Tafelstuk’ can be used as a container to highlight your everyday objects (keys, fruits or a magazine). 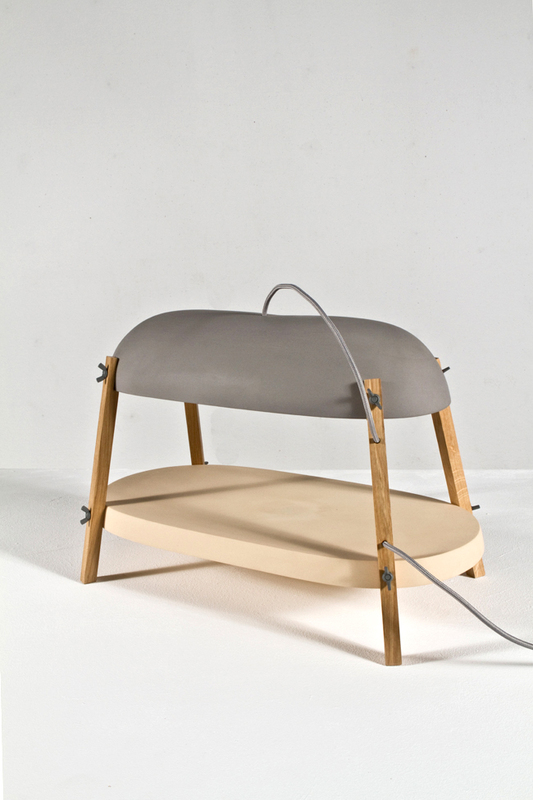 Construction and materials are David Derksen’s main sources of inspiration. 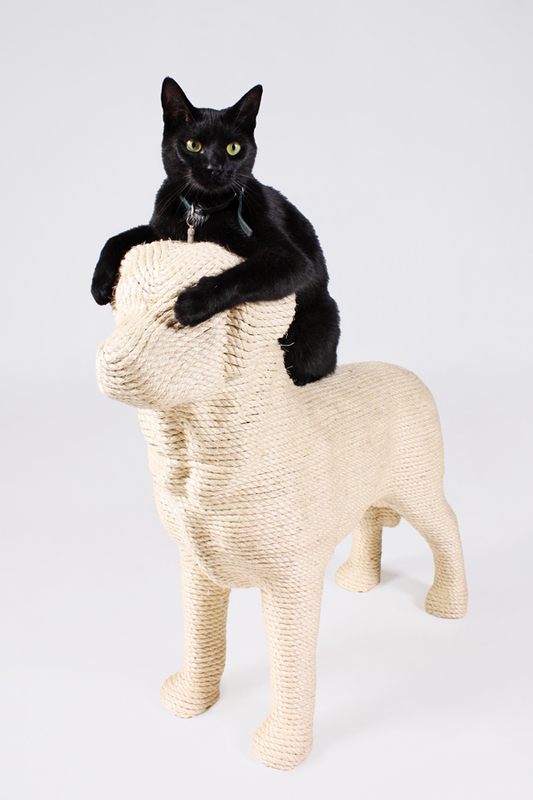 He creates something new through unconventional applications. While the designs are not strictly functional, their appearances are directly connected to their construction. In this way he aims to express the beauty of the material and the way it is produced. 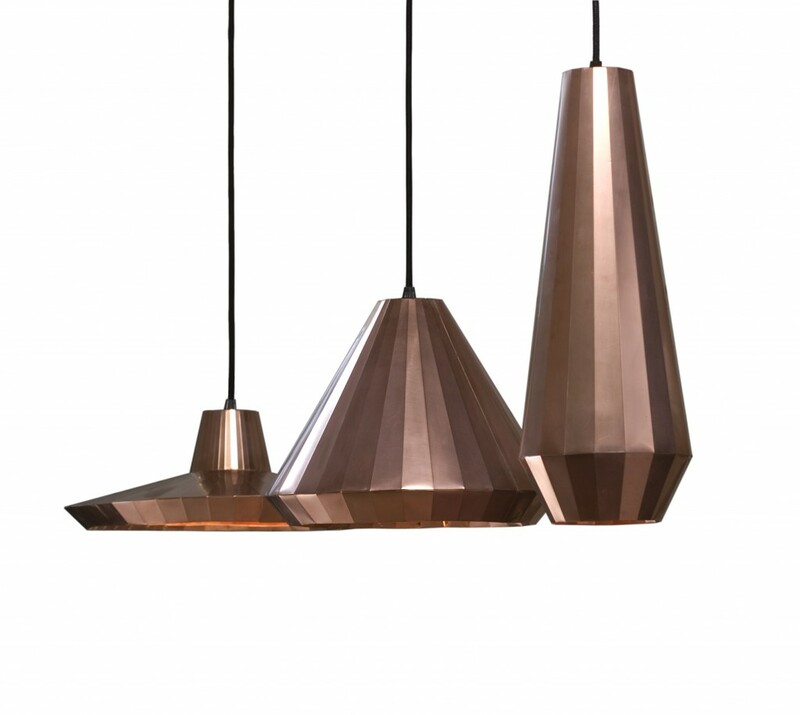 These ‘Copper Lights’ completely constructed out of0,1 millimetrethick copper foil. The bends in the material give the structure its stiffness and almost a paper like appearance. 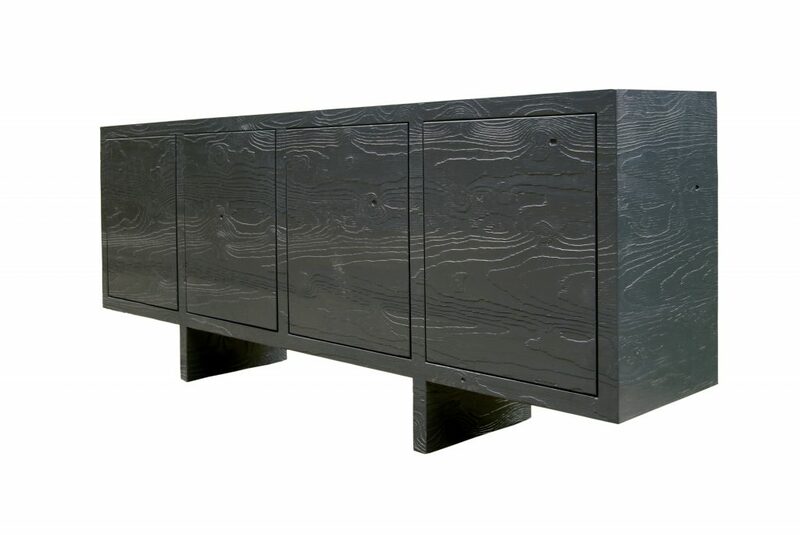 This beautiful buffet is made by Stephan Siepermann. By blasting away the softer parts of the wood, its inner structure gets visible and tactile. The cabinet is constructed out of one board, so the woodgrains run uninterrupted over the whole piece. A complete new skin for a range of new furniture in various shapes.